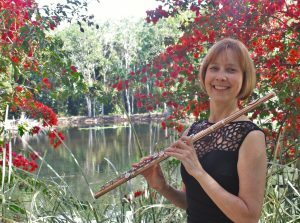 Jane Linstead is a highly respected, professional flutist & flute teacher, based in Cairns, Tropical North Queensland, Australia. Jane studied the flute at the Canberra School of Music with David Cubbin and Vernon Hill – graduating with a Bachelor of Music Degree. 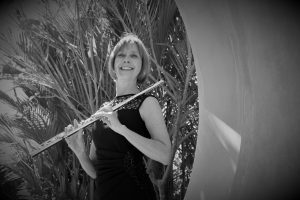 Jane has traveled extensively to the UK, Europe and the USA attending & performing at numerous flute master-classes with renowned flute players including Louis Moyse, Peter Lloyd, Alain Marion, Trevor Wye and William Bennett. 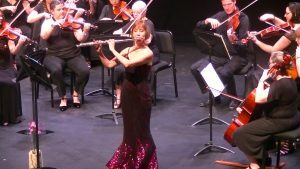 Jane has had a successful career as a solo concert performer, chamber ensemble performer and has also been sought after on numerous occasions to perform flute in symphony orchestras and pit orchestras. Jane’s career has also included command performances for prestigious music evenings and performances recorded for national radio broadcast. Jane has over 30 year’s flute teaching experience and is a dedicated & much in demand flute teacher. Former students have successfully gained positions in tertiary music programs and have gone on to pursue music as a career becoming music teachers at schools & universities as well as working in other areas of the music industry.